Don't get me wrong, I like the remixes... But don't most of the songs sound too soft? I was expecting more "oomph". Sounds great, did anyone ever get a hold of Colis Records EXE arrange album Richromatic? I would love to hear that. Same. I have been looking for uploads for weeks to get a listen. 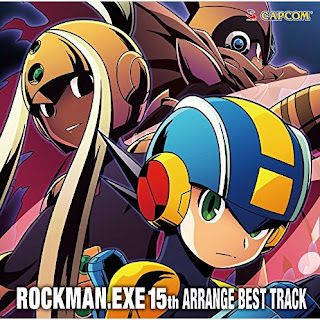 I had hoped for something similar to what they did with Rockman Zero and release a remastered album for each game, but hey I love EXE, so this will do! who did the artwork of the cover?